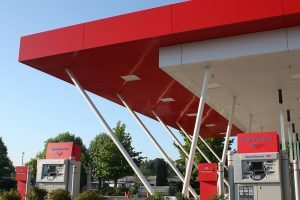 BestWorth has been providing custom, quality canopies to the Petroleum, Retail and Commercial markets for 30+ years. Our professional services includes design, engineering and installation of canopies. With our vast experience and knowledge in the canopy industry, we custom design each canopy to meet our customers’ needs. At BestWorth we have a large inventory of different material to help meet your canopy requirements and desires. We design with quality and excellence as our top priority. To see more of our canopy capabilities, check out our Featured Project Gallery. Also we can provide assistance with solar and natural gas capabilities for your canopy project. Just ask one of our team. Give us a call, email or use our simple contact form below to let us know how BestWorth can help with your next Canopy project.